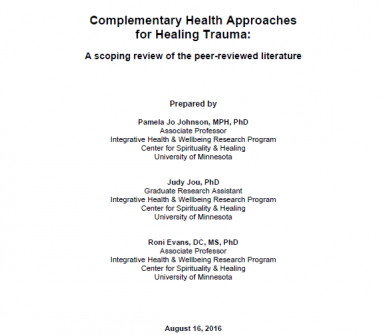 A literature review conducted by the University of Minnesota's Center for Spirituality and Healing regarding the use of integrative practices for healing trauma was available to supplement the experiential presentations and sessions. The full literature review is available for viewing here (PDF). A summary version is also available.